Check out the latest Kawaii Box Coupons on My Subscription Addiction! Kawaii Box Cyber Monday Coupon – $5 Off Longer Length Subscription + Gift Card! Kawaii Box Black Friday Coupon – $10 Off Longer Length Subscription! 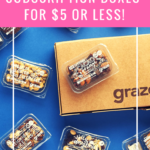 Kawaii Box Coupon – $5 Off Any Length Subscription! Kawaii Box Black Friday Coupon – FREE gift + $5 Off Any Length Subscription! Kawaii Box Black Friday Coupon – Save $5 Off Any Length Subscription! 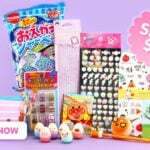 Kawaii Box Coupon – Save 20% Off Any Length Subscription!